Our new headquarters is now open at 377 Walnut Street in Waynesville, the former site of the HCGOP headquarters. Many thanks to the HRA Volunteers who worked to make it happen! 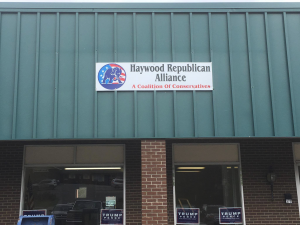 Next PostNext Why Haywood Republican Alliance?